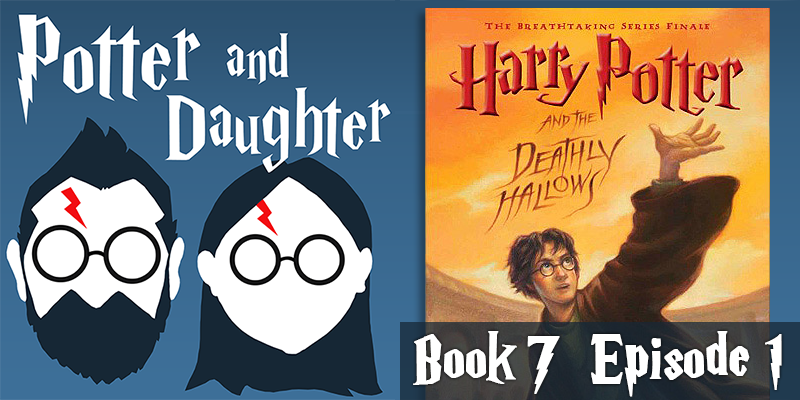 In episode twenty-eight of Potter And Daughter Joel and Lily begin discussing Harry Potter And The Deathly Hallows, covering chapters 1-8. Snape takes his place at his master’s table, Harry says goodbye to #4 Privet Drive for the last time, seven Potter’s take to the skies and Harry loses more than one friend in a single night. Harry, Ron and Hermione try to plan their next adventure as everyone around them plans a wedding. Dumbledore imparts his final gifts to the three friends and two wizarding families are happily joined, but the celebration is cut short by an ominous warning.